This printer ribbon cartridge will yield 3500000 characters. When do I Replace a Ribbon Cartridge in the Lexmark 2380 Plus Dot-Matrix Printer? 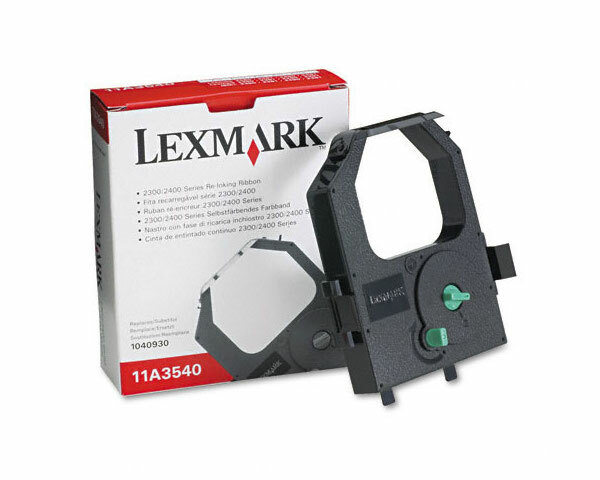 You should replace the ribbon cartridge installed in your Lexmark 2380 Plus Dot-Matrix Printer if any of the listed indications and problems appears. The [Ready], [Paper Out], [Panel Lock], and the [Font Lock] indicators are blinking, and the [Power] indicator is on – You must make sure that the ribbon cartridge is installed correctly, and then test the printer. Please replace the ribbon cartridge if the problem persists. Print quality is poor – The ribbon surface has been contaminated. You should install a new ribbon cartridge. Blank printouts – The ribbon of the installed cartridge is out of ink. A new ribbon cartridge must be installed. 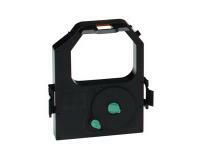 You must turn your Lexmark 2380 Plus Dot-Matrix Printer off, and then remove the ribbon access cover. 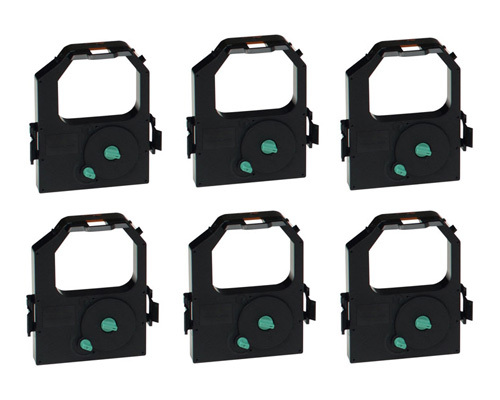 After that, you must rotate the forms thickness lever to position 7, and then remove the used ribbon cartridge by pulling it upwards while squeezing the left and right latches. Now, you must unpack the new ribbon cartridge, and then insert it into the machine until it clicks into place. In the next step of the replacement procedure, you must set the forms thickness lever to the correct position, and then reinstall the ribbon access cover. Finally, you must turn your Lexmark 2380 Plus Dot-Matrix Printer on. 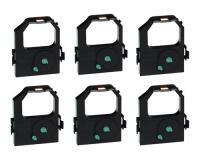 Lexmark 2380 Plus Ribbon Cartridges 6Pack - 4,000,000 Pages Ea.